A luxurious and powerful cruiser during daytime, she eagerly turns into a pure party boat after dark. She likes to receive and loves to entertain. 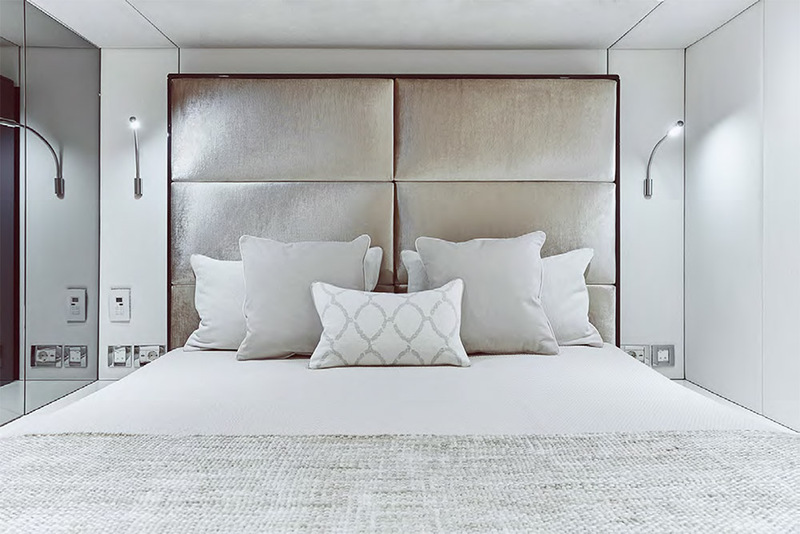 This lofty power catamaran takes hospitality and fun very seriously. 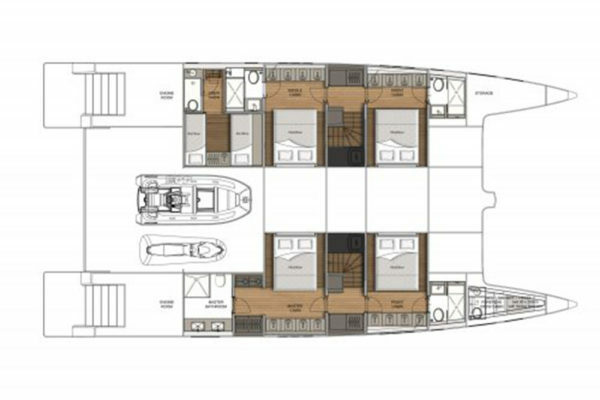 Meet Kukla – Sunreef Yachts’ latest motor yacht from the successful Sunreef Supreme 68 range. 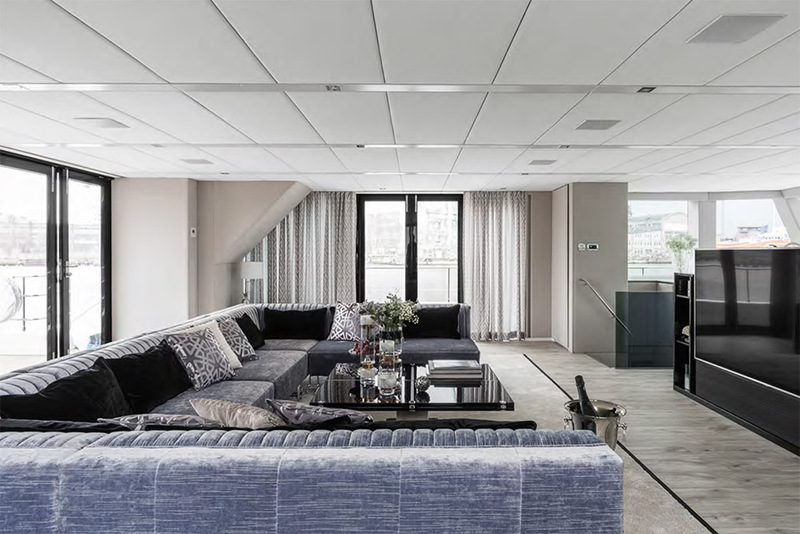 Kukla was commissioned by a Swiss Owner who every once in a while likes to take a break from his busy life in the world of finance. While looking for a spacious and comfortable vessel to enjoy day cruises and late-night parties he concluded that the beamy and voluminous Sunreef Supreme 68 Power may just be the perfect pick for his navigation plans including both private use and charter. Kukla’s vast 65m² saloon enjoys a clever and practical layout. 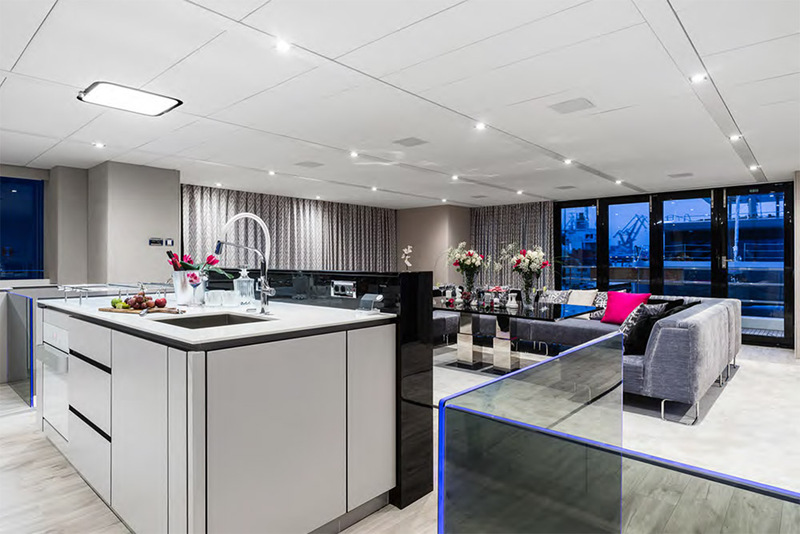 Her central lounge comprises a large c-shaped sofa and a transforming coffee/dining table facing a 78” TV. 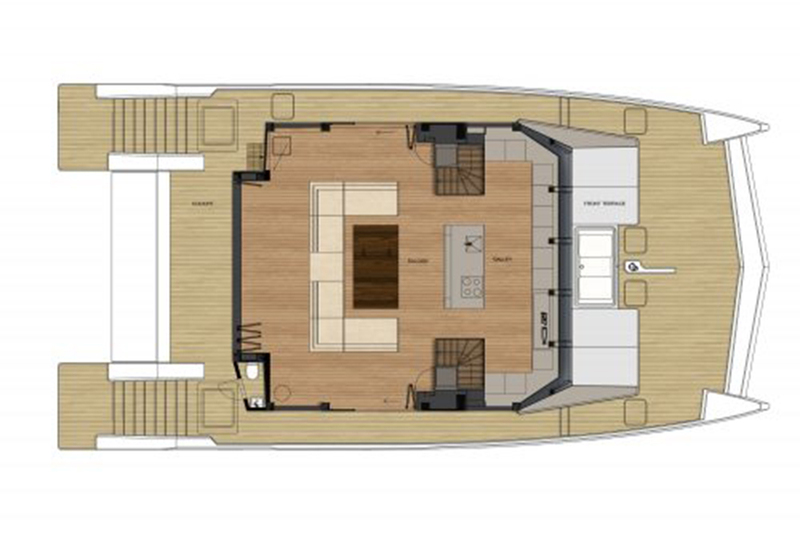 A discrete full-beam galley occupies the bow part of the interior main deck with plenty of high and low storage along with all the appliances needed to ensure five-star service. 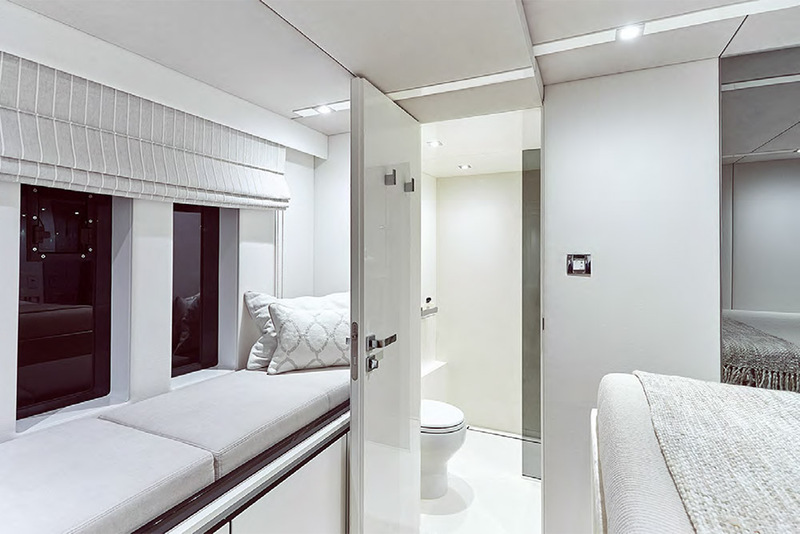 The full-height glazing surrounding the saloon allows plenty of sunlight inside whereas the folding doors to the aft and the sides, open the living space onto the exterior for a unique feeling of airiness and freedom. 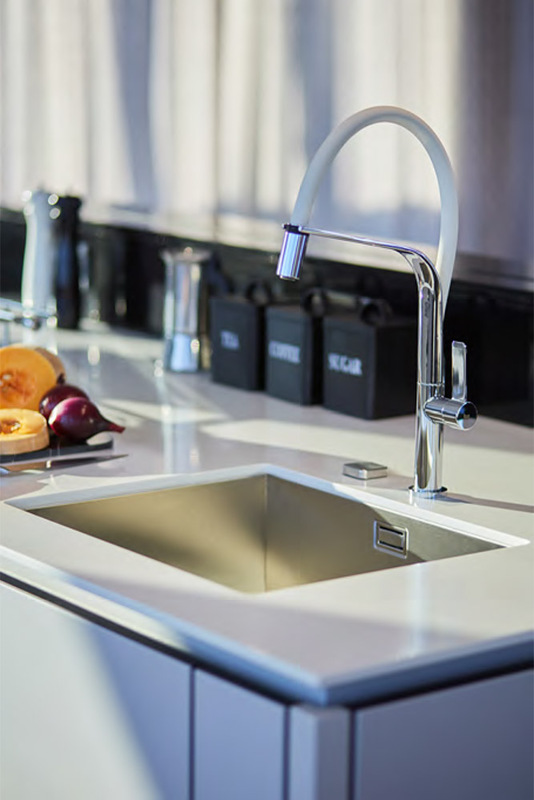 A feeling intensified by the bright and luminous décor combining canyon oak, cream, silver gray and touches of glossy black. The saloon blends seamlessly with the cockpit, providing easy access to the stairs down to the aft platforms and garage. 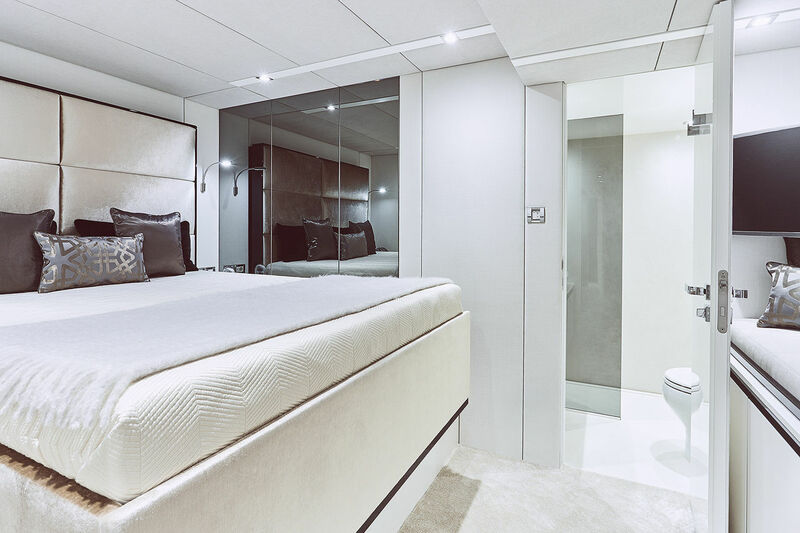 The spectacular storage volume not only conceals the tender but also a jet-ski and a wide selection of water toys to keep Kukla’s guests busy and active throughout the day. 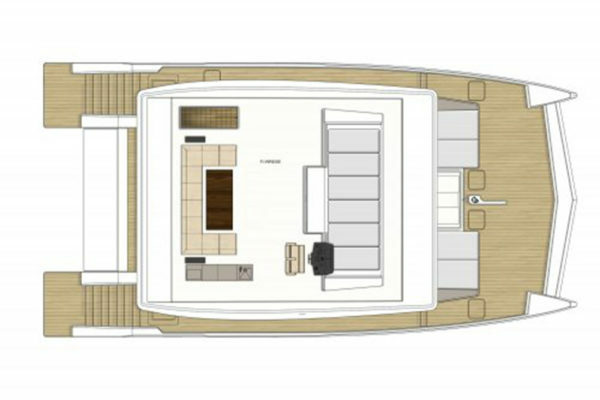 The garage door, when lowered, levels with the aft platforms to create a relaxing beach club. 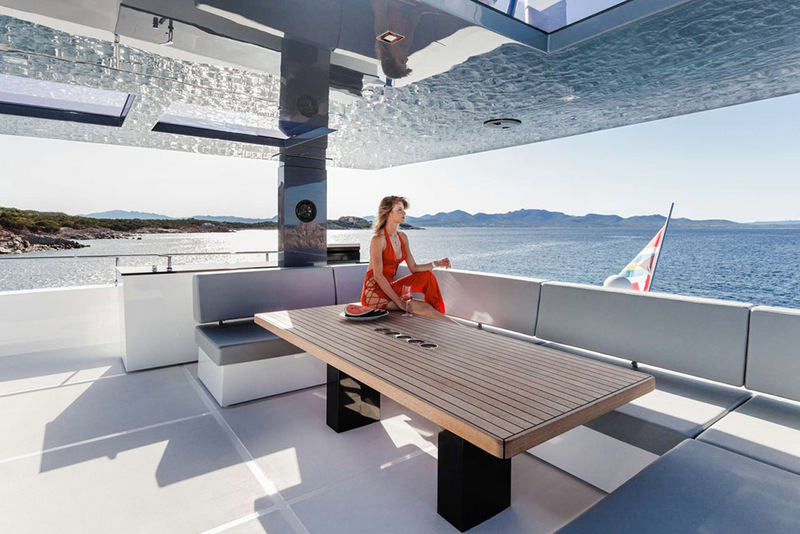 The yacht’s bow terrace makes the best possible use of the Sunreef Supreme 68’s generous 10.5m beam. The teak-clad surface offers lots of space to laze around on the large sunpads. A big awning stretches above the terrace, letting the yacht’s guests enjoy a little relief from the sun. 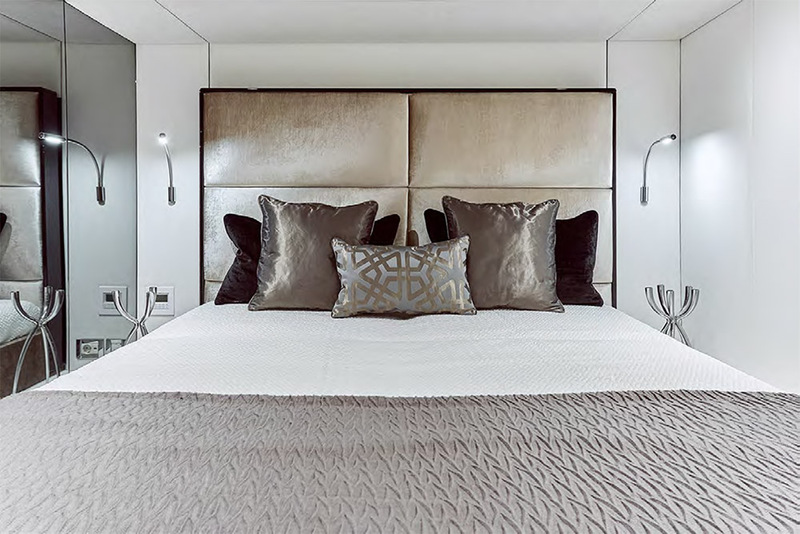 For all those who prefer to have a good night’s sleep, Kukla’s hulls’ offer four luxurious cabins including a master-suite, all continuing the soothing décor of the saloon. 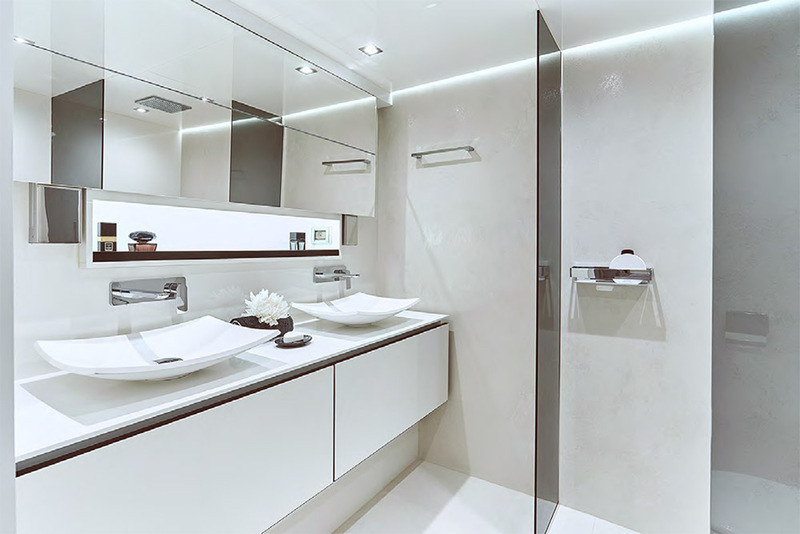 All feature TV’s, convenient storage and private bathrooms with an elegant sintered quartz finish. 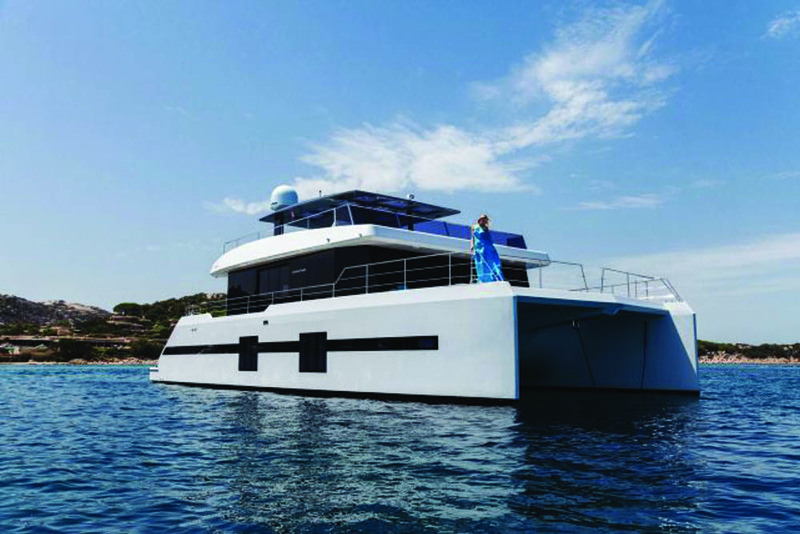 With her twin Volvo IPS-800 easily controlled from either of the catamaran’s two helms, Kukla maneuvers easily in crowded marinas but also enjoys great autonomy and performance when she wants to take her guests away for an exciting cruise.